Butterflies are lovely things and one of the wonderful aspects of spring and summer. They are not only beautiful but needed as pollinators for gardens. If you want to attract butterflies to your yard you have to understand what they need. The answer is nectar. Nectar is life to butterflies, so by planting the right flowers and flowering bushes, butterflies will gladly stop by to feed. This needs to include not only flowers that will supply their nectar but plants they can lay their eggs on and will feed the larvae. Butterflies love areas where they can access plenty of nectar, is sunny, provides water and protects them from the wind. The “Buddleia davidii” or Butterfly Bush is by far the best choice when it comes to a butterfly garden. The plant itself is also called Summer Lilac and is beautiful. Plus each plant can handle a lot of butterflies feeding at the same time. It’s attractive to a variety of butterfly species. It’s simply stunning to see hundreds of butterflies feeding on this brightly colored plant. The Butterfly Bush likes full sun. They are tall plants so place them towards the back of your flower garden. They give off a lovely scent, are very hardy and drought resistant. They can be grown pretty much anywhere in the U.S.
Asclepias, also know as Butterfly Flower or Butterfly Weed is another must-have for butterfly lovers. This one does dual duty. It not only supplies nectar for adult butterflies but is a host plant for caterpillars. The Butterfly Weed helps keep species like the Monarch butterfly thriving as the plant itself contains a toxic substance that makes the caterpillars taste nasty to predators. Hummingbirds also love the Butterfly Weed. There are many varieties of Asclepias to choose from in a gorgeous array of colors. The plant likes full sun, is drought resistant and actually prefers somewhat dry soil. They are low maintenance and easy to grow. The milky substance that protects the caterpillar may irritate the skin so when pruning you may want to wear gloves. The coneflower or Echinacea is third on our list of plants butterflies love. The Purple Coneflower is a beautiful native perennial that grows all over the U.S. Echinacea comes in a variety of colors besides purple including red and yellow. Native insects such as butterflies and bees love this medicinal herb. It also provides a winter food source for birds. Coneflowers are very easy to grow. They are drought resistant, cold hardy and will grow just about anywhere. The large flowers bloom over a long period of time so you will have them through several seasons. A must for any serious butterfly gardener. 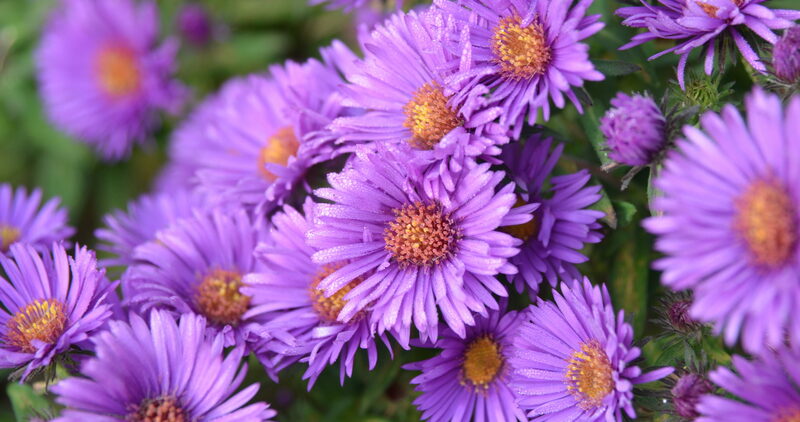 The Aster family includes several varieties and all are beautiful with their blue and violet hues. The nice thing about this butterfly attracting plant is it blooms late summer and fall. This means it will attract butterflies for a longer time in your garden. Asters, like the Butterfly Weed, not only provide succulent nectar but is a host plant as well. Asters are drought tolerant and like full sun. They don’t require anything special in the way of soil which means they will grow well in most gardens. Plant them with other butterfly loving perennials. Salvia is another must for anyone wanting to attract butterflies, hummingbirds and honey bees. Butterflies like the American Lady, Clouded Skipper, Fiery Skipper, Monarch, and Spicebush Swallowtail love Salvias. The Salvia plant produces rich nectar even in drought conditions which is needed as a food source in extremely dry weather. Red is a favorite if you want to attract hummingbirds too. Salvia loves full sun, is drought resistant and hardy. They all love hot summers and some varieties are winter hardy as well. Easy to grow they add bright color to any garden. These five plants are just the beginning but definitely where you want to start with when planning a butterfly garden. Other plants that easily attract butterflies include Lantana, Black-eyed Susan, Daisy, Goldenrod and Snapdragons. Start planning now and you will be enjoying all those beautiful butterflies fluttering by from spring through fall. Want to Make Valentine’s Flowers Last? Perk Them Up with Red Bull!